HDMI 2.0 active optical cable, HDFC-200P, enables to transmit 4K (4096x2160) at 60Hz signal up to 100m (328feet) over plenum graded (or LSZH) hybrid cable. It avoids any scaling or data compression for lessening a burden of data transmission. 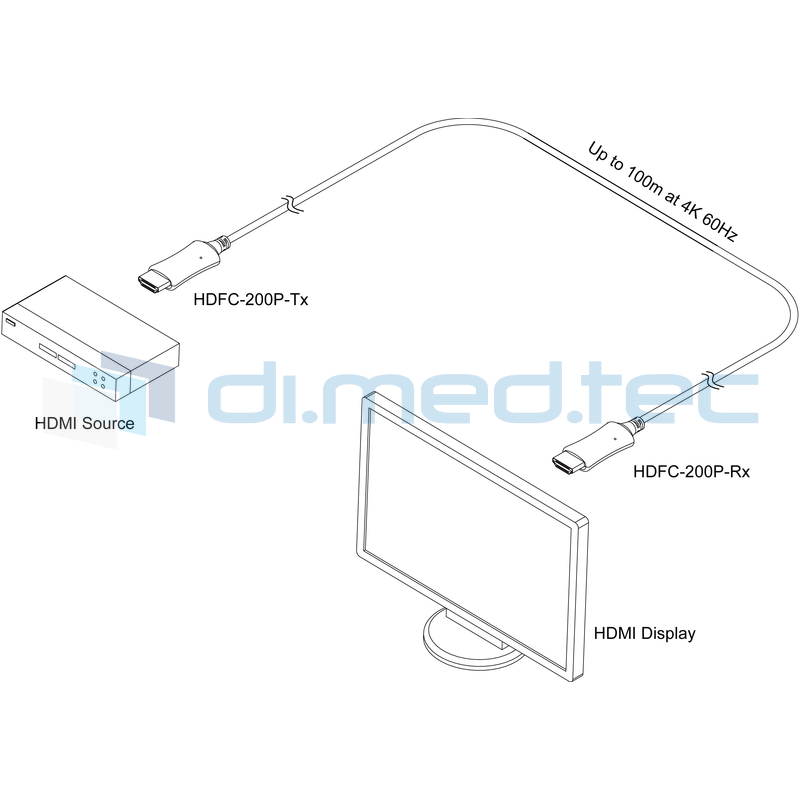 Opticis introduce HDFC-200P, the most cost-effective HDMI 2.0 Active Optical Cable in the market. It enables to transmit 4K (4096x2160) 60Hz signal up to 100m (328feet) over plenum graded & LSZH hybrid cable. With Opticis technology, HDFC-200P avoids any scaling or data compression for lessening a burden of data transmission. HDFC-200P is designed compact enough to be fitted into various installation environments with cutting edge technology performance. 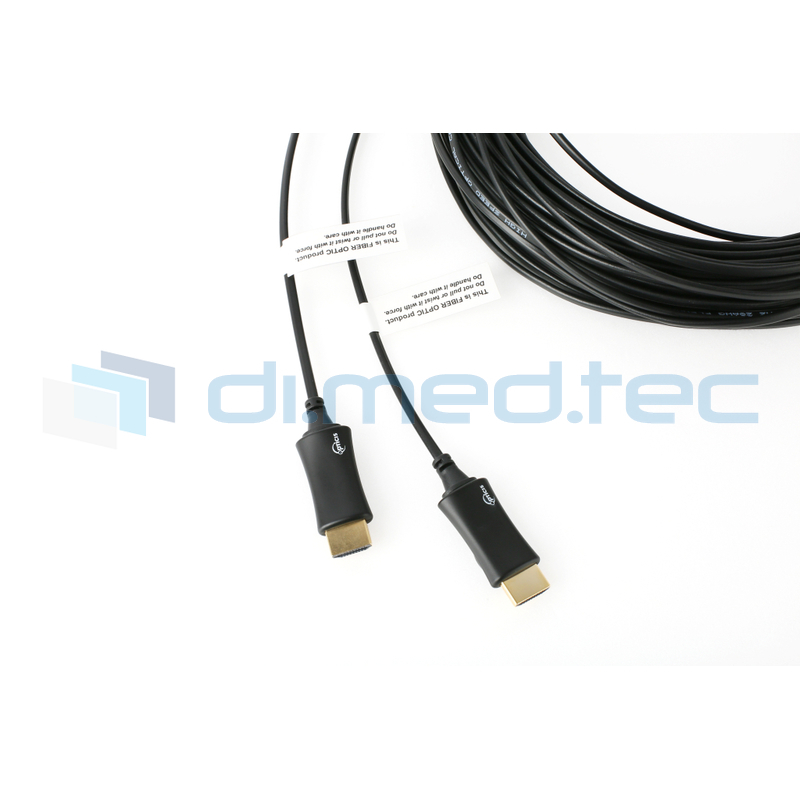 It gives slim, light, easy installation like a general copper HDMI cable. It can be operated by DDC 5V from HDMI port of HDMI source without any external DC power or USB power. 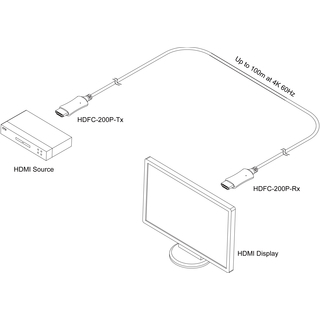 HDFC-200P is compliant with HDMI standards features like CEC, EDID, and HDCP 2.2 for better installation flexibility and compatibility.